Assembly Member Jenny Jones recommends scrapping the Met's notorious Territorial Support Group. A civil engineer who worked on the Thames Barrier says another flood defence is needed. Four companies in Holborn are growing fruit and veg on their roofs. Food and drink blogger Wilkes McDermid, aka Wilkes 888, has gone missing in South Africa. Temporary road markings are causing chaos on Seven Sisters Road. Westminster council is making more from parking fines than any other London borough. A woman has died after eating her Christmas lunch at a Hornchurch pub. The Evening Standard has revealed the 48 members of Boris's immediate City Hall team. 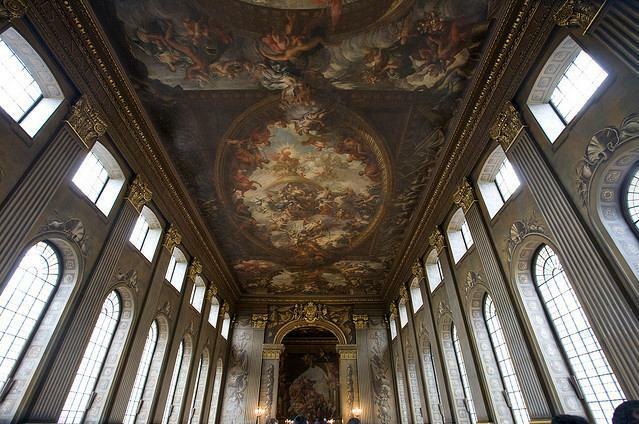 Climb scaffolding to get up close to the Painted Hall's wall paintings from next week. Here's a lovely feature from the BBC about the history of Westminster.